Villa Takali is located on Viti Levu, the main island of the Fijian island chain. The heart of the South Pacific, Fiji is blessed with 333 tropical islands that are home to happiness. Famous for its soft coral diving, white sand beaches and pristine natural environment, Fiji is a haven for conservation. Weddings and honeymoons in Fiji are a dream of a lifetime, and families and children have a special place here – where happiness finds you. Admire the beauty, revel in the culture, absorb the history, play the sports, taste the food and enjoy the peace; flop on the beach or embark on an adventure – whatever you are looking for, you will find it in Fiji! From cultural experiences, to thrill-seeking adventures, Fiji has something to offer every traveller that enters her Islands. Click on any activity or excursion to learn more. For specific inquiries about any of the activities and excursions listed on our website, please use the contact information listed below each one. Pacific Harbour is home to Beqa Lagoon, one of the world’s greatest dive sites. Beqa Adventure Divers is known for their World famous Shark Diving and in addition to their soft coral and wreck dives. at 8:00am and return at 1:30pm; afternoon trips check-in from 12:30pm and return at 5:30pm. Towels and refreshments are provided on-board with hot showers, changing facilities and secure storage available at the dive base. Equipment Hire and Nitrox also available. Jetski Safari offer self–drive tours to circumnavigate spectacular Beqa Island. The modern Yamaha VX700 jet ski’s comfortably carry two passengers. Snorkelling gear is provided along with a complementary lunch. Sea Venture is a revolutionary and innovative 35ft glass bottom boat (a ‘Looker 350’) with a unique hydrofoil wave piercing system that allows the vessel to literally fly along the surface of the water at speeds up to 40 knots (70kph). Sea Venture allows families with children and the elderly to safely explore the reefs of Beqa in comfort. Ultra Hi-Output LEDs fitted with specialized optical lenses for maximum light spread and enhanced illumination to greater depths gives passengers unprecedented evening and night reef viewing opportunities. Also available for full and half-day private charters which include beach picnic lunch and snorkeling around Beqa Island. A full day island visit to Yanuca with Pacific Harbour Ocean & Island Excursions departs every Tuesday and Friday from the Pearl Resort at 9am, returning at 4pm. The tour includes snorkeling from the sandy beach (gear provided) sea kayaking and SUP-ing, games, optional jungle trek to ‘lookout cove’, authentic kava ceremony and a tasty ‘Lovo’ (traditional earth oven) feast. **Please note there is an additional village levy payable in cash on the island of FJ$10 per adult and FJ$5 per child. 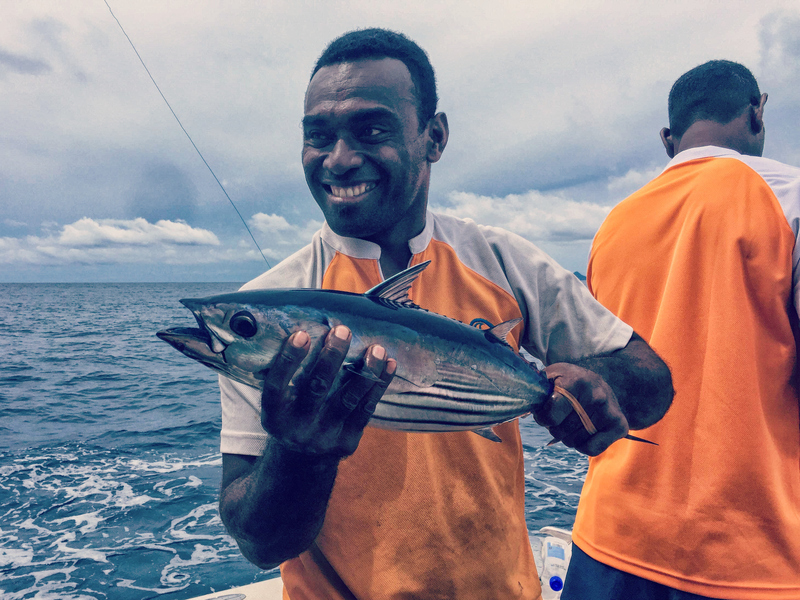 The Beqa Lagoon and outer lying areas provide for some of the most diverse fish found anywhere, so all skill levels can be accommodated. We recommend Freedive Fiji who offers a varied range of fishing styles and options with as much or little guidance as you require. Terratrek offers a self-drive guided tour into the hilly interior of Pacific Harbour. Accommodating groups of up to 16 (two per buggy) the tour lasts approximately 4 hours long and includes an easy 15-minute hike through the rainforest canopy to a beautiful clearing with two waterfalls and clear fresh water pools. You’ll be served a picnic lunch before starting the fun drive home, complete with ocean views. **Please note you will need to present your driving license. For guests wishing to experience Fijian Culture, the Arts Village and Cultural Centre is located just 5 minutes drive from the Villa and offers a variety of shops featuring handicrafts and clothing. Visitors are able to interact and learn about Fiji’s arts and customs through cultural tours of the recreated traditional Fijian village. The tour ends with a spectacular meke (dance) and fire walking show that includes the phenomenal Beqa Firewalkers. Conveniently close and set amongst tropical rainforests and winding canals, with 66 bunkers and multiple water hazards, you will find the Robert Trent Jones Junior designed, 18-hole championship golf course. You will find a fully stocked Pro Shop and are free to enjoy the Clubhouse. Refreshments can be organised for delivery on the course. Clinic and lessons with the onsite golf pro can also be organised. The par 72 course measures 6566 meters, and traverses some of Fiji’s topographic diversity. You will enjoy breathtaking ocean views of the Coral Coast as you play. Guests of Villa Takali may enjoy preferential rates however please note that a member of the Villa Takali team must confirm all bookings. Green fees includes the shared use of an electric cart and range balls prior to play for one person. Tee off is between 7:30am and 3:30pm. Before 24 hours prior to ply – 50% of the green fee. Within 24 hours prior to play – full payment. The Navua River offers the country’s best river rafting. The full-day tours are operated by Rivers Fiji and requires a moderate level of fitness. Rivers Fiji also offers inflatable guided kayaking trips to the upper Navua River to explore the expansive waterways and tropical vegetation. Sea kayaking experiences are also available. Here’s some helpful information to help you plan your visit, courtest of Tourism Fiji. Fiji’s population is approximately 837,000 made up of indigenous Fijians, Indians, Chinese, Europeans and South Pacific Islanders. English is the official language with Fijian and Hindustani also spoken. You’ll find many sophisticated retail outlets here, suitable for traditional tourist shopping. And if you venture a little further, you’ll discover fruit and vegetable markets, overflowing with produce, curio and handicraft vendors, Indian merchandise and speciality gift stores. It’s here that you might find yourself in a bargaining session over price. It’s all part of the experience, so go ahead and enter into the spirit of it.